THE WOODLANDS (KTRK) -- One man was shot after an alleged armed robbery in Montgomery County. 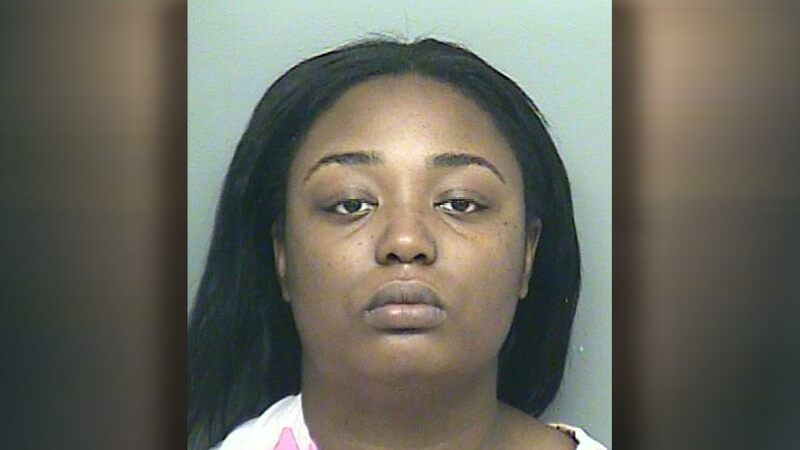 According to the Montgomery County Sheriff's Office, Michaella Barrie-Ann Gordon, 20, and Edward Long, 22, were arrested and charged with aggravated robbery after the incident happened Monday in the 1700 block of North Red Center Circle in The Woodlands. Authorities said the unnamed male victim told them he had arranged to meet Gordon, an acquaintance, at a local park. It was reported that Gordon asked him to drive her to where the robbery took place. When they arrived, Long allegedly threatened him, demanded his wallet, cell phone and car keys. The victim told investigators that he complied with Long's demands, but Long continued to threaten him. The victim then grabbed a handgun from his car and fired several shots at the suspect, who ran away. Gordon followed Long and they both climbed into a waiting car and sped off. Deputies said the victim gave them a description of the robbery suspect and the car they left in. Long was later found at an area hospital seeking treatment for gunshot wounds. Gordon was with him and their getaway car was in the parking lot. Property reported stolen from the victim was reportedly located inside Long's vehicle. Deputies said investigators later determined Gordon and Long had planned the robbery and they were arrested. A photo of Long was not immediately available.